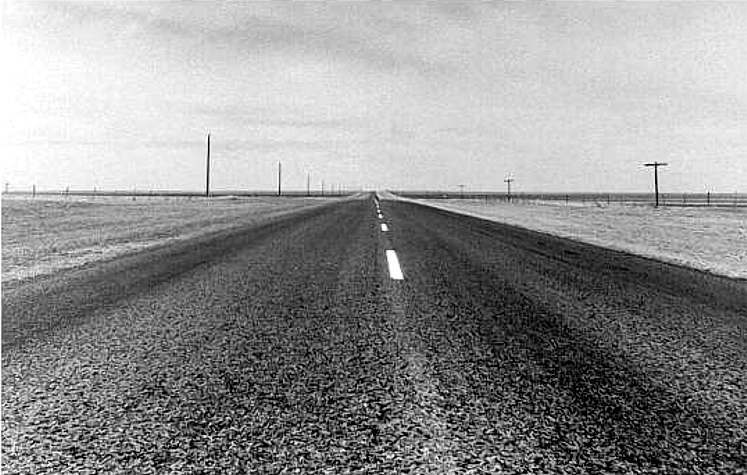 This old black and white photo is from somewhere in the Great Plains -- likely Eastern Colorado or nearby Kansas -- from the early 1970s. The road, the landscape seem to go on to almost beyond one's comprehension. The center of pavement served as picture spot with no apparent photographer's need for fear of safety or of disruption. There was surely a great and shimmering silence with perhaps only the intrusion of the wind brushing by the phone poles. There was surely that intense, wonderful Western loneliness.